Monrovia – The George Weah-led government is in the midst of a major international gaffe which has reignited a stinging diplomatic strain between Kosovo and Serbia. It all started last Wednesday, June 20, 2018 when Foreign Minister Gbehzohnga Milton Findley and a number of government officials reportedly flew to the Serbian Capital, Belgrade for a special ceremony to declare that Liberia was reversing its decade-old decision to recognize Kosovo and shifting recognition to Serbia. Kosovo declared its independence from Serbia a decade ago, igniting a fiery feud with Belgrade for global recognition. Today, some 53 countries around the world recognize Kosovo and Serbia has vowed many times it will not recognize Kosovo as an independent state and has actively tried to dissuade — along with powerful friend Russia — other countries from formally doing so. Kosovo currently says it has received official recognition of 117 countries and has also been accepted into many international sports bodies, including FIFA and the International Olympic Committee (IOC). Serbia is known to lobby countries that have already recognized Kosovo in hopes of getting them to reverse their decisions. Two days later, on Friday, June 22, 2018, the government of Liberia issued a statement reaffirming bilateral relations with Kosovo, rebutting the decision to recognized Serbia. In a communique refuting reports of the Serbian recognition, the Liberian government said that they will continue good relations with Kosovo and will recognize its sovereignty. Liberia has recognized Kosovo’s independence shortly after the country declared its Independence in 2008. Friday’s official reaffirmation by the Liberian government was a slap in the face of Serbia which had already begun trumpeting the news and throwing jabs at its feuding neighbors. 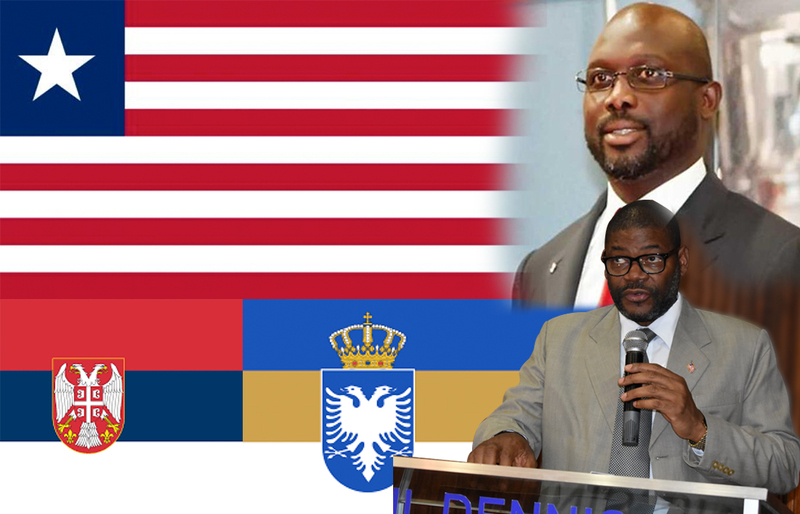 In the statement, the Weah administration highlighted that Liberia was one of the first countries to recognize Kosovo’s sovereignty on May 30, 2008, shortly after Kosovo declared independence. Liberia has also pledged to remain committed to the establishment of diplomatic relations with Kosovo. The minister’s statement suggested that they may be aware of a lack of communication between the government of Liberia and its minister of Foreign Affairs. “Indeed, whatever the Liberian foreign minister intended to say in the Serbian capital, the Liberian Foreign Ministry “reaffirmed” its bilateral ties with Kosovo in an official statement on June 22. It refuted the “reports in some international and social media of its revocation of diplomatic relations with the Republic of Kosovo,” Speaker Veseli said. This is not the first time that Belgrade has tried to usurp Kosovo. In late 2017, Serbian officials declared that both Suriname and Guinea Bissau had withdrawn their recognition of Kosovo. Two months ago, it claimed that Burundi had done likewise. Kosovo responded by saying it had not received any official notification from those countries that they no longer recognize Kosovo’s independence. This is also not the first time that Liberia has been engulfed in a diplomatic gaffe. In 2003, during the height of the Charles Taylor regime, Liberia severed links with China in favor of Taiwan but later reversed the decision following the departure of Taylor into exile. Taiwan had been a close ally of Taylor but his departure paved the way for the resurrection of ties with China, seen at the time as a pragmatic one, with China making promises of contributing toward Liberia’s reconstruction. The island, which split with Beijing in 1949, has for all practical purposes been independent for half a century, but China describes it as a renegade province that must be reunited with the mainland. Official relations between Liberia and China started in 1977 but were broken numerous times only to be reformed later. Serbia is a traditional ally of Russia’s but has been granted European Union candidate status and is actively seeking EU membership. Both Serbia and Kosovo are hoping to become members of the EU but are at different stages in the integration process. They must normalize ties in order to join. Recently, the United States strongly condemned the recent friction between Kosovo and Serbia, saying it could “unnecessarily heighten tensions and threaten regional stability” in the Balkans. A statement from the U.S. Department of State on Wednesday urged all parties to avoid further escalation and resolve disputes peacefully. “To create lasting peace and stability in the Balkans, both Kosovo and Serbia need to focus on normalizing relations through the EU-led dialogue,” spokeswoman Heather Nauert said.